Thinking Design: Dynamic Office Space — Corbett Inc. This layout is designed for dynamic corporate offices where people want various levels of privacy within their focus areas. Centered in the focus area, the Backbone conference table allows for two separate meeting areas which optimizes space and the interaction experience of those spaces. 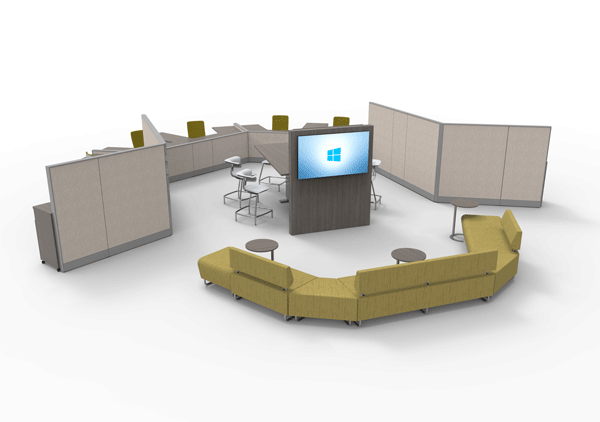 For more information on KI Furniture’s Thinking Design series, contact us today!